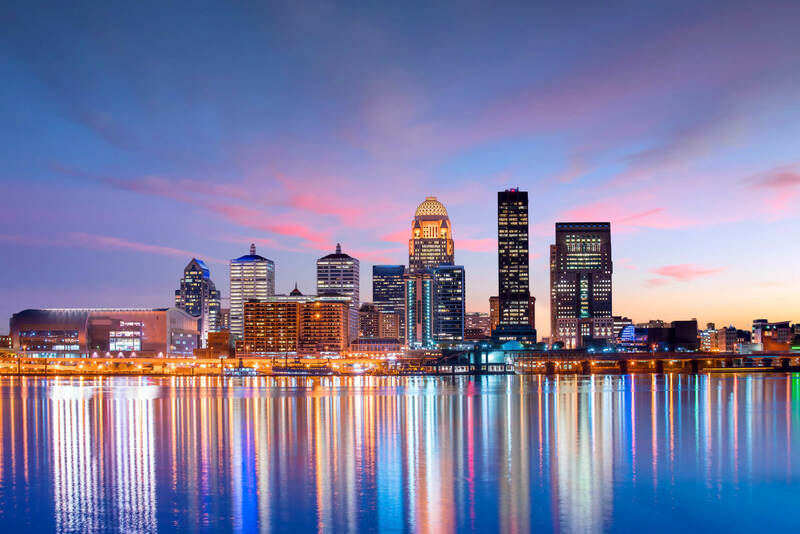 View of Skyline downtown Louisville in Kentucky USA. 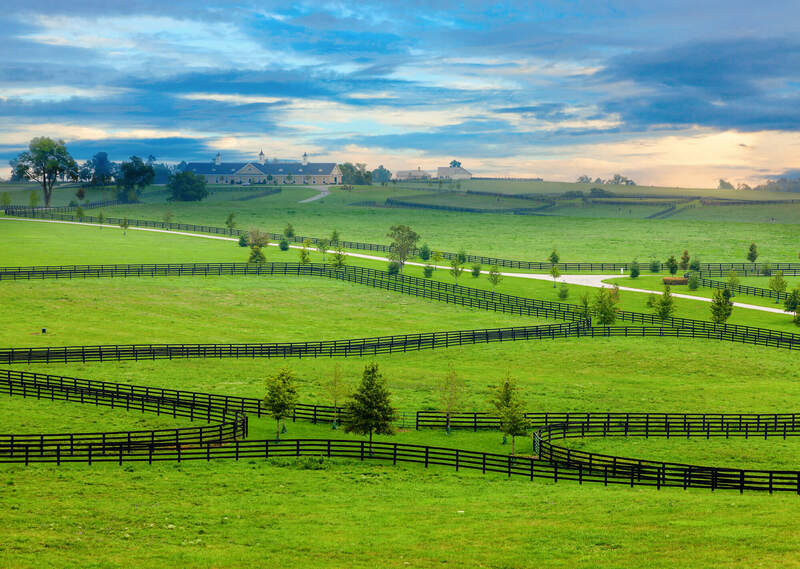 Horse farm in Kentucky, United States of America. 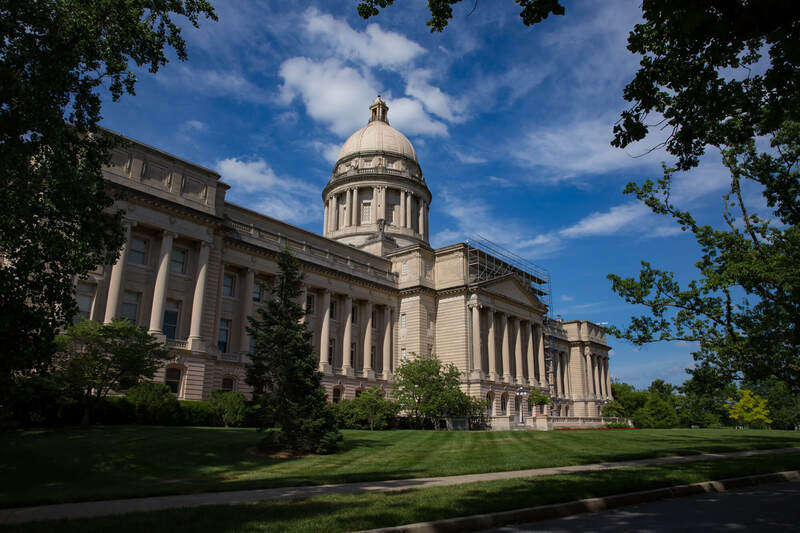 Kentucky State Capitol, United States. 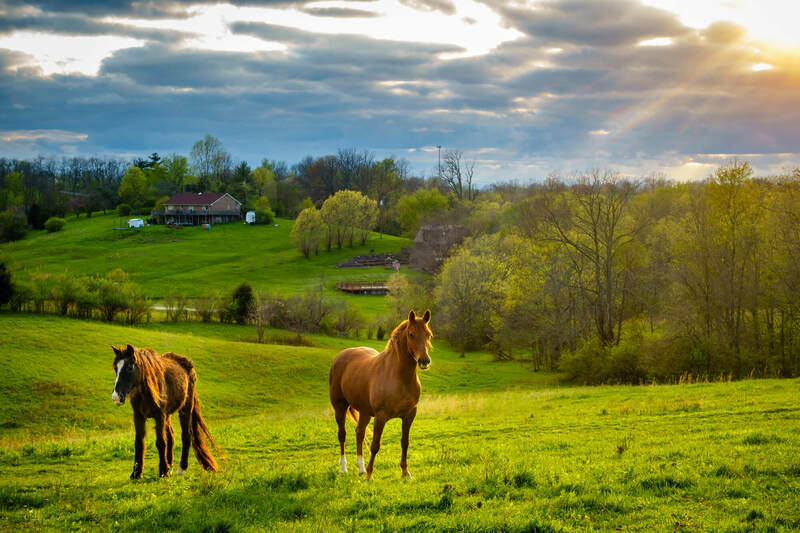 Beautiful chestnut horses on a farm in Central Kentucky at sunset. Where is Kentucky in the World?